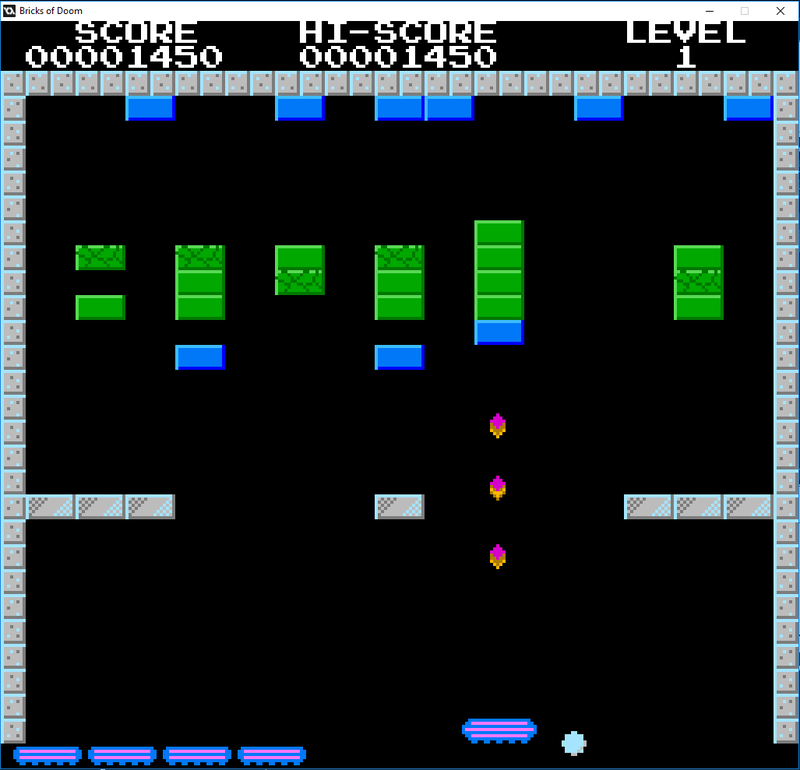 Bricks of Doom is a small Breakout clone for the NES Jam. It has been created using NES limitations: only 16 colors, sprites of 3 colors, etc. I'm sorry, but there are no SFX nor music.